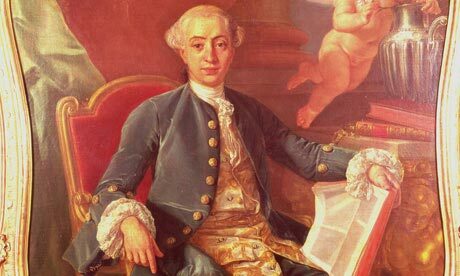 A detail from an oil painting of Giacomo Casanova (1725-98) by Anton Raphael Mengs (1728-79). Photograph: Bridgeman Art Library. An up-close and personal look at Giacomo Casanova’s hand-written memoirs, located in the Bibliothèque nationale de France in Paris. For the complete article, please visit Smithsonian Magazine.